Have Beauty Advent Calendars Been Done To Death? Are We Over The Trend, Or Is It Just Getting Started? When the Pumpkin Spiced Lattes are gracing the counters of Starbucks and the nights start drawing in, you know that the festive season is once again around the corner. Although the beauty industry starts talking Christmas from as early as July, it’s October that really sees everything ramp up a notch – especially as the beauty advent calendars start making an appearance at any given opportunity. Over the last few years this ground-breaking concept has moved into the mainstream and captured the imaginations of anyone and everyone interested in beauty; it may have started as a premium way to discover beauty gems, but now you can’t step sideways without discovering another incarnation of the idea. In 2016 we’ve got more choice than ever before, but I can’t help wondering if we’ve reached saturation point. Has something that used to be the root of pure joy and festive spirit become a little limp and a bit meh? Are we so used to seeing the same idea, year in and year out, that it’s lost its sparkle and become as expected as the TOTP Christmas Day special? 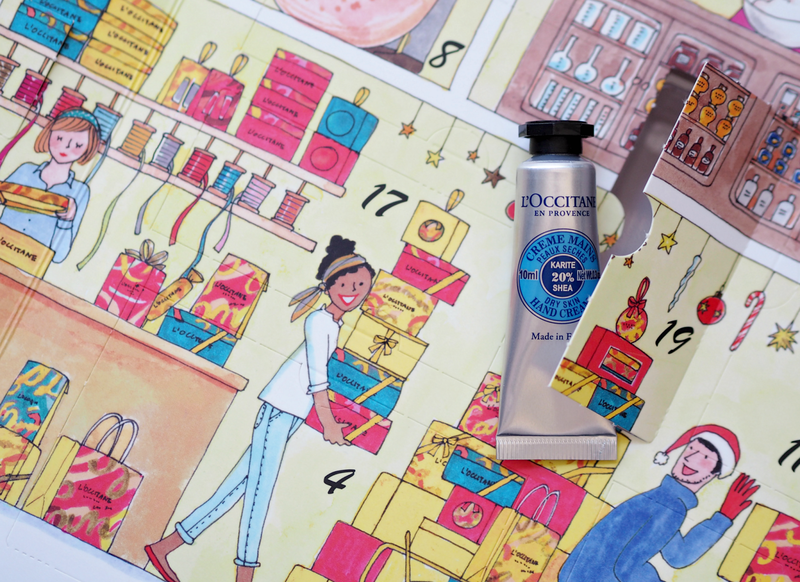 I can recall clearly the first time I ever laid hands on a beauty advent calendar. It was a rather large number by You Beauty and contained some mini samples of my soon-to-be favourite products; the idea was cemented in the concept of discovery and the excitement I felt every morning upon opening each door was one only rivaled by the thought of taking a small step closer towards the 25th. Like with beauty boxes, the beauty advent calendar was perceived to offer value and an element of exploration; may of them showcased a variety of brands or products we didn’t necessarily know about, providing mini samples that would undoubtedly encourage full size purchases come January’s pay day. In some instances it was the only way of picking up mini sizes, while in others it was the most affordable way of trying those treats we had our eyes on all year; it was a way of injecting excitement into every day of the month and gave us all a collective excuse to spend even more on beauty than we really needed to. However, over the last couple of years the concept for me has gotten a little stale. Many of the brands just re-hash exactly what they had the previous year, thinking that jiggling the contents around is all they need to do to keep interest spiked. Others fail to understand they need to offer value for money and instead create something that’s hard to justify from a price point of view – why spend a small fortune on a calendar when you can take that money and buy things you really want? After a few years of beauty calendars I’ve also started to find the endless supply of mini products less exciting and more irritating; the challenge of where to put them and when to use them in January almost outweighs the daily excitement I felt in December. Furthermore, with so much choice it’s now far harder for brands to sell out, meaning the demand isn’t strong enough to create the frenzy we once saw; if it’s not harder to get hold of than the latest H&M collab, is it worth having at all? Although there are undoubtedly some great calendars available in 2016 and I’ve no doubt that a handful of them will be incredibly popular, I’ve also concerns that the majority may fall a little flat. If they’re not exceptionally beautiful, exceptional value or exceptionally different, it’s going to be increasingly hard to stand out and generate the sales brands need to make the project worthwhile. With DIY projects and upcylcing all the range, it may be that this is the year we swap the expensive outlays for home-made treats and re-use the calendars that have graced our fireplaces in the last few years. Or will 2016 see the best year ever for beauty calendars, with them flying off the shelves like never before? Will we be lapping up the latest incarnations with glee and throwing our money at the sales assistants like a scene from Confessions Of A Shopaholic? Either way, Christmas 2016 is set to be a big year for beauty – in whichever form we choose. What are your feelings on beauty advent calendars? Are you a little bit over the concept already, or are you counting down the days until you can get your hands on one again? Haha it would be madness! I agree though – I prefer the beauty baubles, tree ornaments, crackers and that kind of thing. They're affordable and fun, plus you're not left with bazillions of mini products. I didn't even know these existed, but I'm not sure I'd be willing to shell out money for one brand to be sent a random assortment of their sample size things, especially with the huge surge of subscription boxes. I totally agree, I'm a bit over sample sizes of things I won't ever use. That's an amazing idea – like a personalised one you can choose options from! I absolutely love the idea of beauty advent calendars, but agree some brands lack creativity when creating theirs. Last year I bought the Boots number 7 calendar, which was fun but this year the samples look fairly similar so I will invest in buying instead the Bareminerals option and also the M&S one which looks fantastic. I much prefer buying beauty advent calendars than chocolate ones, but I'm a beauty addict. Yeah I totally agree – it's only a saving if you genuinely love and use everything inside. And I know generally speaking I don't. Some of them are great for discovery and for more budget brands they offer a fun way to spend a morning, but the likes of Jo Malone… I'd prefer to spend that money on buying fragrances I'd cherish for months to come. I have to say that there are some lovely calendars out there but they are far to expensive. If I had that money to spare I would spend it one something I really needed instead. You could go away to Europe for a weekend for the money some of them are charging. It is a great idea of getting some mini's but again, not at that price. Think of all the makeup you could actually buy with the money you save, eh?! I think if you haven't had one they're a great experience, but choose wisely and don't spend a fortune! I am always tempted to buy at least one either for me or as a pressie for a friend. This year the L'Occitane and M&S ones are my favourites so far but I haven't bought them because when it comes down to it, I can't quite find the reason to buy them.They are too expensive for me to just buy for myself. I can't justify it. I also struggle to buy it as a gift. It needs too much explaining and it gets awkward. "Happy Christmas! It's a Christmas present but I need you to open it on December the 1st and it will all be done with by Christmas day. "It would almost feel like I'm apologising for buying a lovely present.I would like to see more creativity in how they are presented and in the mix of contents. Why not have a Jan-NEW-ary calendar with something new to enjoy for every day of the start to the new year? Some days it could be a beauty mini but on others it could be a bloody marvellous mini chocolate bar (well wrapped to avoid tasting like perfume) so that you can give two fingers to the diet.It also avoids the awkward 'open me before Christmas' instruction. Now that would get me interested.Nice post. I had my first one last year, from L'Occitane, a brand I love but can rarely justify buying. There were a lot of handcreams in it which was frustrating but I did love getting to try some of their products before splurging on the fullsize stuff. I had my first beauty advent calendar last year, it was The Beauty Secret from Lookfantastic and I really enjoyed it. I am thinking of getting the Paul and Joe one this year, it's cheaper but looks to be gorgeous.